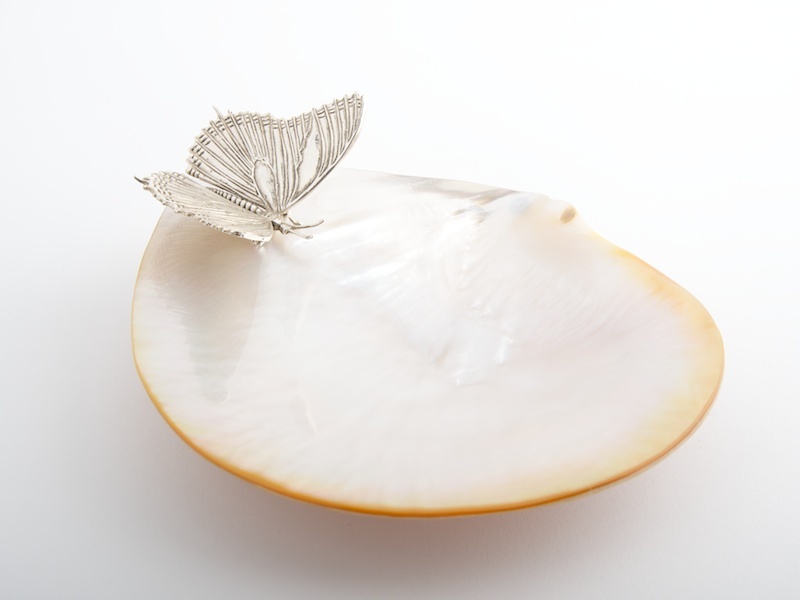 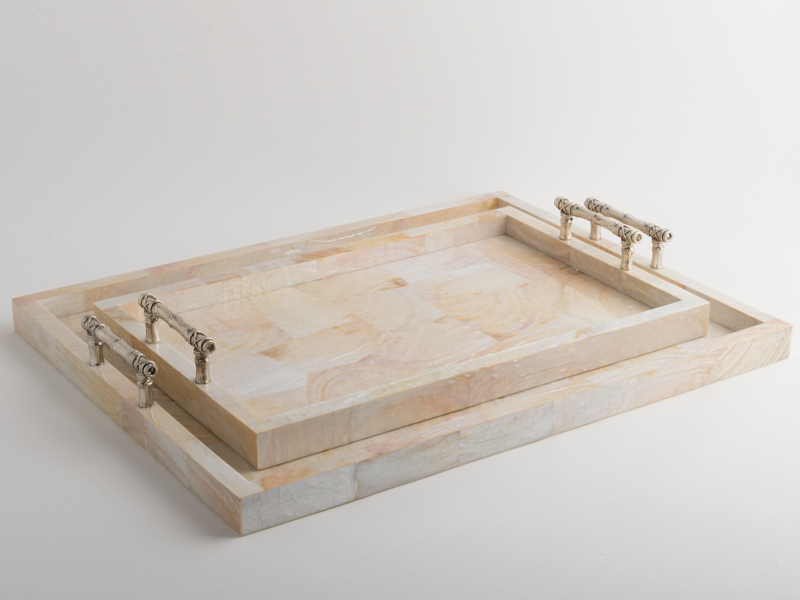 This hand made Mother of Pearl Butterfly Plate is pretty and feminine. 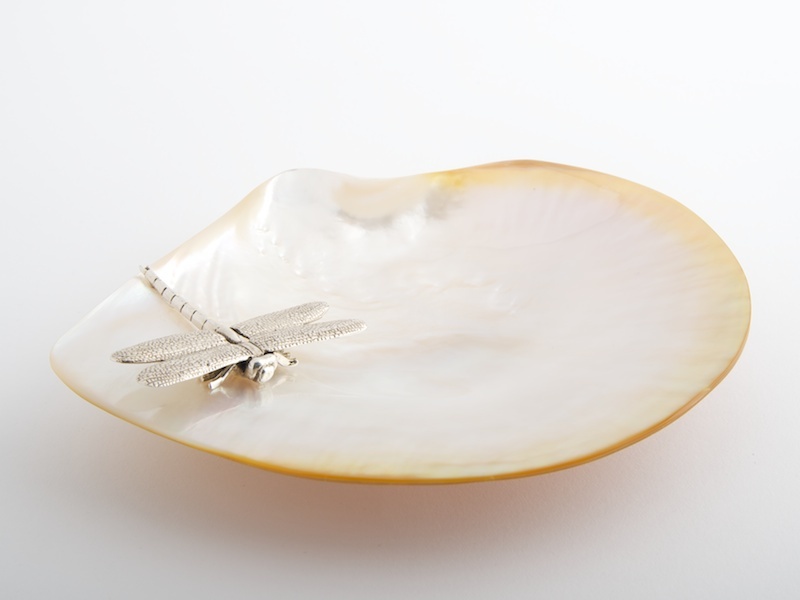 Each plate is unique, first the butterfly is cast in brass and then silver plated. 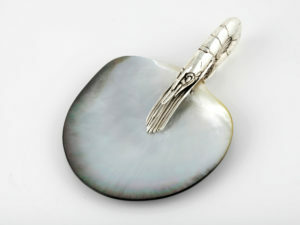 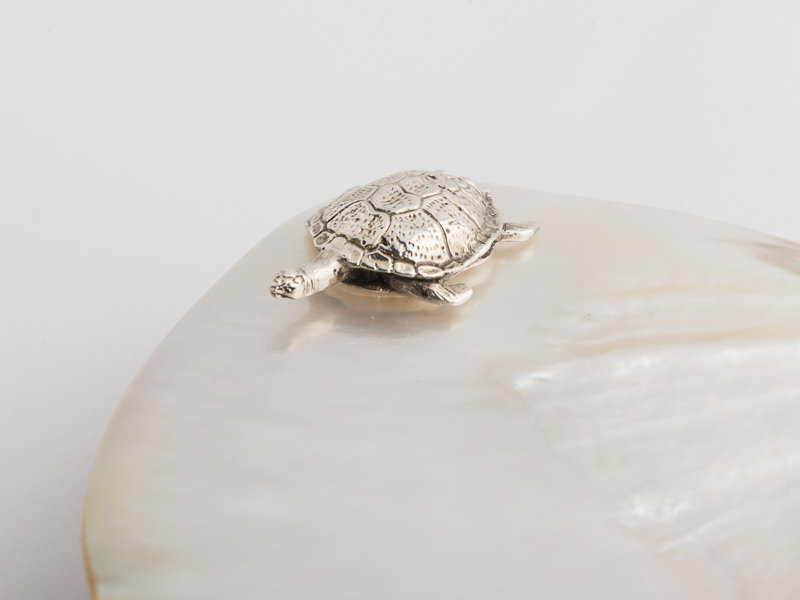 The butterfly is then fitted to an exotic, highly polished mother of pearl shell, which has silvered ball feet for perfect balance.